Who Will Run for Washington Governor Against Inslee in 2016? Who Will Run for Washington Governor in 2016? The presumption is that Governor Jay Inslee of Washington State will be running for re-election in 2016. Governors usually do. He has had a fair first year and Washington tends to elect and re-elect Democratic Governors. It makes sense that he will run. A more interesting question is: Who will be the Republican nominee that runs against him? Cathy McMorris Rodgers? It appears that Rob Mckenna will not make a second try for Washington Governor. Things could change, it has been reported that . . .
He’s told insiders of the Grand Old Party he’s not interested in a rematch . . . It will probably depend somewhat on the National political climate a the time. Between now and then a lot will happen, and many careers will be made and lost before the 2016 election season. It may back fire on them, but the Republicans seem to be driving the political debate with the same anti-tax, anti-government message every election year. Its the messaging and policy that U.S. Representative Cathy McMorris Rodgers has been helping to formulate as the Chair of the Republican Conference. The sequester and the government shutdown are examples, and these appear to be hurting the Republicans. How these issues play out is likely to influence how strong the Republicans are in the State of Washington. Whose political careers will be ruined? Who’s will be made? Who will throw their hat in the ring. 2016 Republican Candidate for Governor? This is great stuff for political junkies. With Mckenna indicating that he is not interested, it opens the field for a lot of Republican wannabees. I have made my own predictions for who will run for Governor of Washington State. Jerry Cornfield, Herald Columnist, also made his guesses. They are listed below. I am betting that Dave Reichert, Congressman and Retired King County Sheriff, will be the 2016 Republican Nominee for Governor of Washington for a number of reasons. I don’t believe that others like McMorris Rodgers will be campaigning for Republican nominee for Governor. The former King County sheriff is in his fifth term in Congress from whence Inslee came. Reichert could be the 8th Congressional District representative for life, but his sights are on something grander. Most figure it’s the U.S. Senate though running the state might be too attractive to pass on. Everyone that is mentioned in this article is ambitious. Cathy McMorris Rodgers and Michael Baumgartner certainly are. However, there are different kinds of ambition. One is clamoring for the spotlight. Dave Reichert seemed to have particularly enjoyed the public spotlight that came to him because his office solving the King County Green River murder (although Reichert’s role is dubious). I disagree with Jerry Cornfield. I think that it is the Washington Governor’s Office that Dave Reichert wants, not the U.S. Senate. Some may think that a position in the U.S. House of Representatives is more prestigious than Governor, but you just are not in the center of the spot light as you are in an executive position like the Governor’s Office. As a congress person or a senator, you are just one of hundreds in Washington D.C. I am betting that Reichert is hungry for the attention again. I believe that Rep. Cathy McMorris Rodgers will remain in the U.S. House for awhile. McMorris Rodgers seems comfortable there, and it has been very good for her career. She seems to enjoy it. I get the impression that her party advanced her to the Chair of the House Republican Conference so they can claim her as a token woman in their leadership. However, they may not advance her any farther in the House leadership. The Republican Party still seems to be too much of an old boy network. Maybe McMorris Rodgers will consider a run for another office when she realizes this. Perhaps it will be for Washington governor, but it probably not be in 2016. I think she will stay in the House for a while. How about Congresswoman Jaime Herrera Beutler as the Republican Nominee? 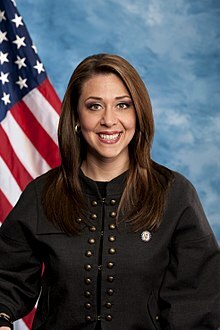 I just cannot see Jaime Herrera Beutler as the Washington Governor, and I bet 50% of voters will not either. I don’t think she will be ready for a state-wide office, and I bet she knows it. If on an off chance McMorris Rodgers decides to runs, it is even less likely that Herrera Beutler will run. She was an intern of U.S. Rep. Cathy McMorris Rodgers and that means some loyalty. Herrera Beutler is unlikely to betray her Cathy. Litzow is a moderate on fiscal and social issues though you might not realize it because he’s refused to break ranks with his conservative caucus to pass a bill he co-sponsored on abortion rights. A former public school teacher, his strongest suit is education which is a proven winning issue with voters. No comment. I don’t know enough about this guy from Mercer Island. State Sen. Andy Hill of Redmond for Governor? Hill is the lead budget writer for the Senate Majority Coalition, an impressive assignment for a freshman senator. He’s also a cancer survivor. That combination — knowledge of numbers and compelling personal story — generally adds up to electoral success. The question for Hill is whether he’s ambitious enough to seek the job. Same as above. The guy is a nobody to me. Will State Sen. Michael Baumgartner Run for Washington Governor? People were laughing at him. They said he had no chance and of course they were right. However, it was a very smart move for State Senator Michael Baumgartner to run against U.S. Senator Maria Cantwell in 2012. It was win/win. Because no one thought he had chance of winning, it did not hurt him when he won merely 40% of the vote. Moreover, his party appreciated him taking one for the team. He increased his name recognition and donor base, and he gained experience campaigning in a more high profile race. It was very advantageous for Michael Baumgartner. However, you cannot play that card twice. If Baumgartner ran for his party’s nominee to be the Republican candidate for Governor of Washington and lost badly like he did against Cantwell, it is unlikely that he would reap the same benefits as he did when he lost against Cantwell. It would hurt his career. You cannot loose badly over and over and still be respected as a candidate. I bet he knows that. Also, Michael Baumgartner comes to politics from an interest in international policy. State government may not hold his interest. I think he will stay in the state legislature for a few more years, and then run for federal office again. A lot will happen between now and 2016, and we will have plenty time to speculate. The current Republican leadership like Cathy McMorris Rodgers make have sunk their own boat. However, I am betting my money that Congressman Dave Reichert will toss his hat into the race. Reichert is not as directly responsible for the fiasco created the Republicans. If he does decide to run, he will probably win the primary election and become the Republican nominee. Of course, there are other Republican wannabees waiting in the wings like Spokane Mayor David Condon who is another Cathy McMorris Rodgers prodigy. He was one of McMorris Rodgers’ top aids a few years ago.